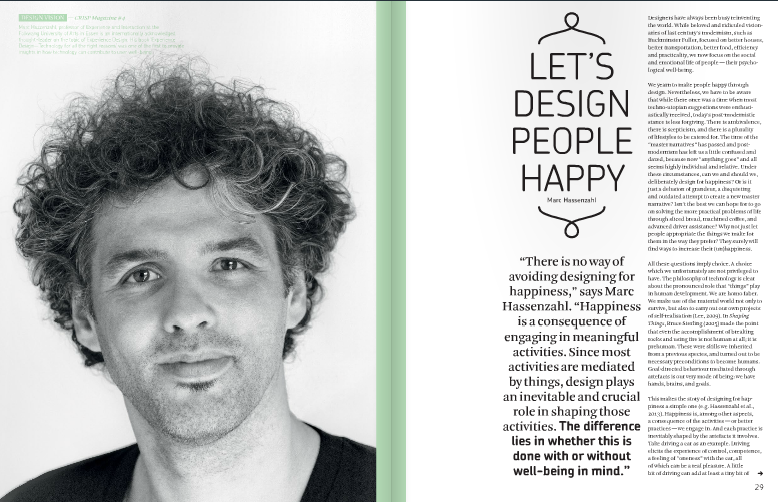 The stunning new issue of CRISP magazine was launched at the 2014 Design & Emotion Conference and presented at Dutch Design Week. 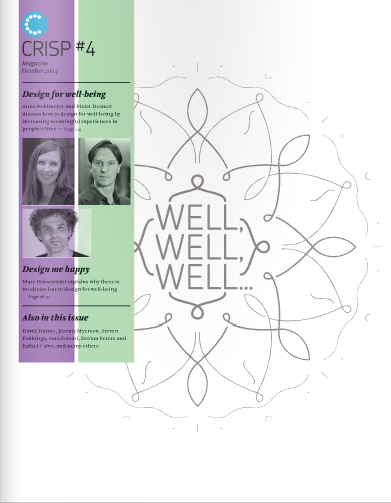 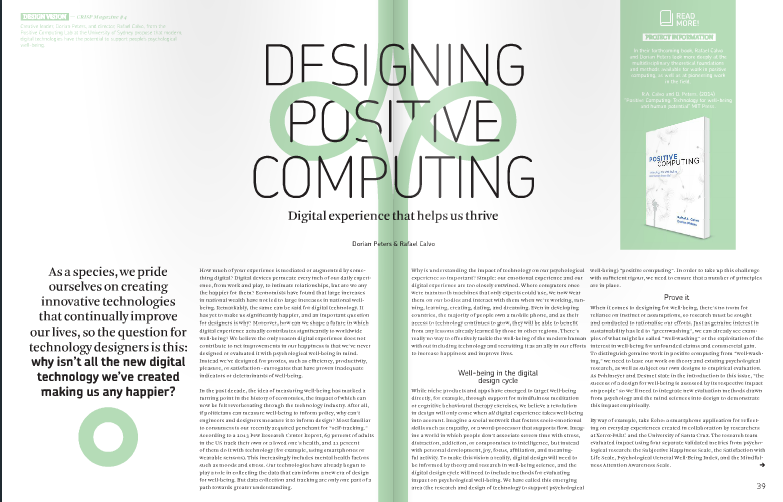 For those of us interested in Positive Computing, technologies and design, it's great news that this issue is dedicated entirely to design for wellbeing. 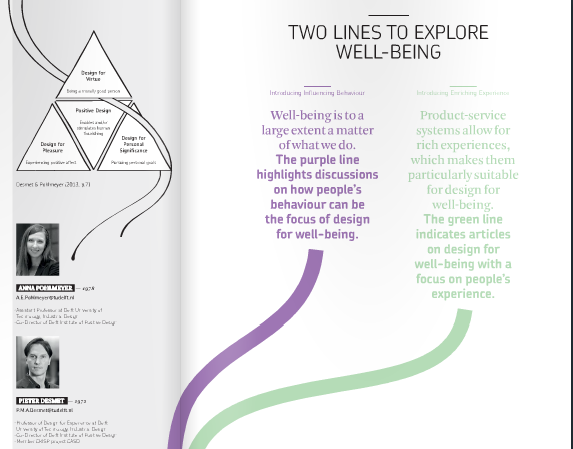 from physical health to design for happiness, meaning and long-term wellbeing.